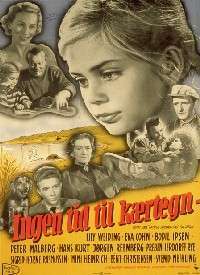 Be Dear to Me (Danish: Ingen tid til kærtegn) is a 1957 Danish film directed by Annelise Hovmand. The film was also chosen as Denmark's official submission to the 30th Academy Awards for Best Foreign Language Film, but did not manage to receive a nomination. 1 2 "IMDB.com: Awards for Be Dear to Me". imdb.com. Retrieved 2009-12-29.